Clients throughout the Metroplex have come to Daniel J. Clanton's law firm during tough, life-changing transitions. The stress of legal problems involving the end of their marriage weighs on every aspect of their lives. Flat fees starting at $995.00 plus filing fees for uncontested divorces and modifications. Good people enduring personal crises are apt to make bad decisions based on emotions. They have questions that need answers from a lawyer. They require a higher level of advocacy to help them make choices that not only protect their rights and futures, but also focus on the best interests of their children. Southlake family law attorney Daniel J. Clanton combines legal acumen and knowledge with real-world experience at his law firm. Becoming a lawyer was a second career choice for him. For 10 years, he served in the military as an attack helicopter pilot, requiring the same level of integrity, honest and dependability that helped him shape his law firm's practice at the Law Office of Daniel J. Clanton, P.C. Today, Daniel J. Clanton is a divorce lawyer who maintains those high standards of professionalism and respect in all dealings with his clients. As a married father of two children and two stepchildren, he has been where they have been and experienced what they are going through. With empathy, he remains at the side of clients. As a dedicated advocate for residents throughout the state of Texas, attorney Daniel J. Clanton will stay in constant contact from the free initial consultation at his Southlake office to the finalization of divorce decrees. Throughout the process, he updates clients on the progress of their divorces while pursuing the best outcome for them and their children. Attorney Daniel Clanton provides clients with an honest assessment of the case and attends to every detail of their divorce from the initial consultation to the finalization of the divorce. 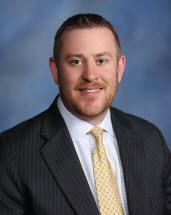 Attorney Daniel J. Clanton has experienced the impact of divorce on a very personal level. He knows first-hand the personal and emotionally charged issues children and parents endure during a life-changing personal transition. Attorney and firm founder Daniel J. Clanton believes in taking a collaborative approach to custody and support, combining experience and insight as a child of divorce and as a divorced father and stepfather. Learn about attorney Daniel J. Clanton's personal and professional background.